Christmas trees bring the warmth of the holiday season indoors, filling homes with a soft glow and yuletide fragrance. For many families, picking out the perfect tree and decorating it are traditions they hold dear. And there’s nothing quite as welcoming as a live Tannenbaum in your home. Finding that perfect tree can be fun and stress-free for everyone with these simple tips. Make the best selection the first time by evaluating the species, needle retention and scent. Start at the farthest part of the Christmas tree lot to find the best selection, as trees in the front tend to be the most picked over. 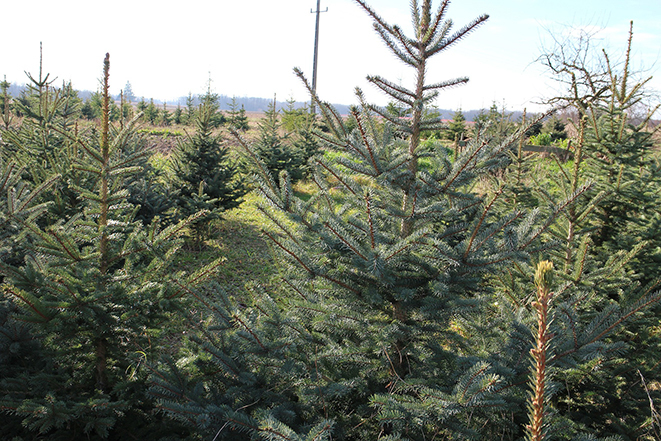 While not a true fir, these trees can be found on nearly every tree farm for the holidays. 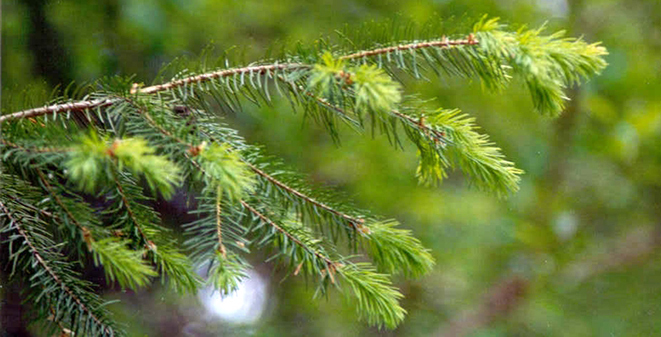 Featuring dark green or blue-green colored needles that are soft to the touch and a sweet scent, Douglas firs hold strong as a family favorite. Spruces have a beautiful silvery-blue color and an incredibly symmetrical shape. From a full bottom to a slender top, the Colorado blue spruce adds a stately touch to any room. It’s also one of the best trees for needle retention, making a great visual impact throughout the entire holiday season. You won’t have to worry about losing needles with any pine variety. However, their flexible branches may struggle to hold heavy ornaments. Pines are the most popular tree choice for Christmas. The main difference between the scotch and white pine is their fragrance. Scotch trees have a long-lasting aroma while the Eastern white trees have almost no fragrance, making it a favorite for those who have sensitive noses. These trees are more expensive than pines because they grow slower, however the extra expense is worth it. Firs have stiff branches that hold heavy decorations, their needles won't shed and the scent makes the whole house smell like Christmas. Balsam firs are perfect for tree toppers while Fraser firs are more compact. Once you’ve picked the right species, make sure it’s the right tree to take home. First, test the branches and needles of the trees for freshness by running your fingers along the needles, grabbing the branches and bouncing the tree a little. If the tree is fresh, very few needles should fall off. If many do, it's a sure sign that the tree was cut long ago and has not been watered enough. Before setting up your new tree, use a pruning saw to make a fresh cut on the bottom of the tree, taking at least an inch off. Once you bring the tree home, water it regularly. Trees may drink up to several quarts a day, so check the water level daily. Frequent watering prevents needles from drying and dropping off and helps maintain fragrance. And when the holidays are finally over, recycle the tree. Each year, 93 percent of Christmas trees are recycled and turned into mulch for landscapes and gardens or chipped for use in playgrounds and hiking trails. Check with your municipality or the local recycling center about tree-cycling. Be sure to remove all non-organic décor — lights and ornaments — before recycling the tree. The Davey Tree Expert Company’s more than 8,000 employees provide tree care, grounds maintenance and environmental consulting services for the residential, utility, commercial, and government markets throughout the U.S. and Canada. Davey has provided Proven Solutions for a Growing World since 1880 and has been employee-owned for 36 years. For more information, visit www.davey.com.